Rudi is a cook in a Krakow restaurant, but when his boss asks Rudi to help a cousin escape from the country he's trapped in, a new career - part spy, part people-smuggler - begins. Following multiple economic crises and a devastating flu pandemic, Europe has fractured into countless tiny nations, duchies, polities and republics. Recruited by the shadowy organisation Les Coureurs des Bois, Rudi is schooled in espionage, but when a training mission to The Line, a sovereign nation consisting of a trans-Europe railway line, goes wrong, he is arrested and beaten, and Coureur Central must attempt a rescue. With so many nations to work in, and identities to assume, Rudi is kept busy travelling across Europe. But when he is sent to smuggle someone out of Berlin and finds a severed head inside a locker instead, a conspiracy begins to wind itself around him. 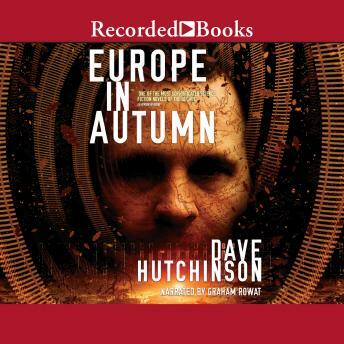 With kidnapping, double-crosses and a map that constantly re-draws itself, Europe in Autumn is a science fiction thriller like no other.